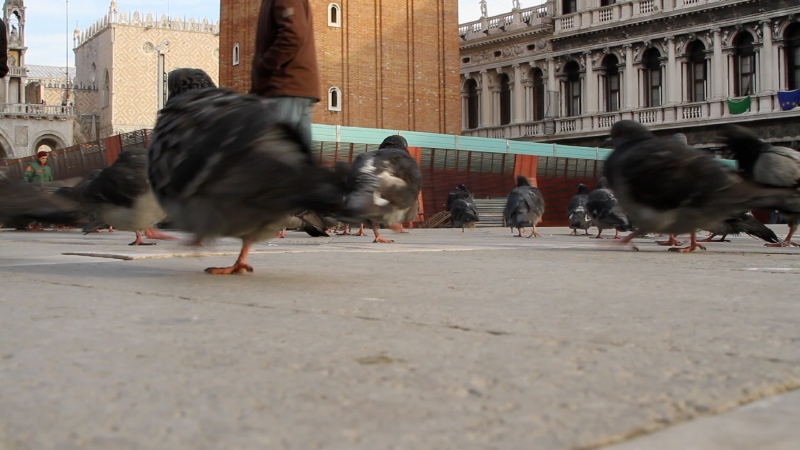 Video still from my Ground Series in Europe. The camera is sitting on the pavement in San Marco’s Piazza in Venice. My aim was to capture a low viewpoint, as if from the eye of a pigeon. This entry was posted in Firenze. Bookmark the permalink.